It’s a very extreme issue of Cane and Rinse as Ryan, Karl, and guest Dan Clark take to talking about the Tony Hawk’s Pro Skater core series. An extensive history of Hawk’s video game ventures from the PlayStation to the Xbox One are given with lots of skate stories, manual memories, and community contributions! We guarantee more grinding than your average JRPG! Cane and Rinse 241 was edited by Ryan Hamann (@InsrtCoins). Is a skateboarder I’ve always found that this game wasn’t for me. It was too cartoonish and unrealistic. The Skate game series are far superior. In Tony Hawk, you can do things that no human can possibly ever do, and as a skateboarder wasn’t interested in that. I wanted to play a game in which I could do things that I couldn’t do but which are in the room with physical possibility. They just never appealed to me. There’s no argument that Skate is much more of a ‘simulation’ than THPS, which is more of a pure videogame ‘score attack’ type affair, with some finger-twisting combo mechanics. I’m still waiting for a proper sim, preferably based around the professional tour. 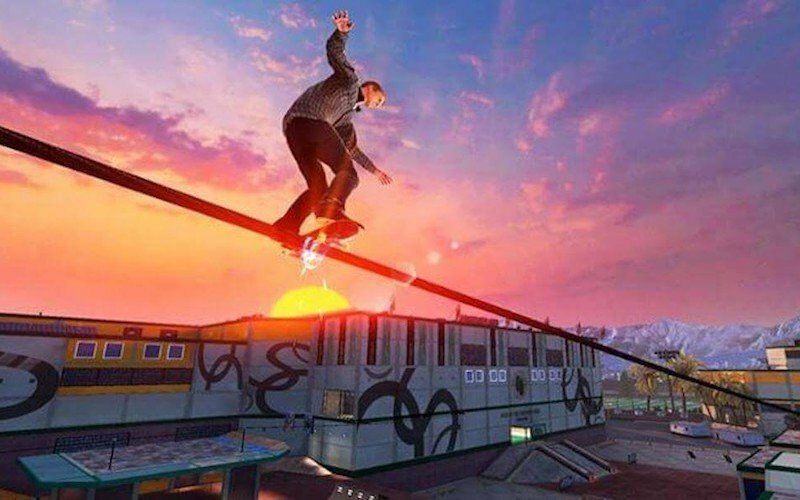 Skate 3 was enjoyable but it too allows for very unrealistic tricks and combos. I also feel that both Skate and THPS suffered when they moved out of the skateparks and into the streets. It encouraged a type of exaggerated skating that you just don’t see in real life.